Careers Advisers in London and the Home Counties are doing their bit to try and improve the chronic tech skills gap with a unique Careers in Tech event for Careers Advisers and Teachers. As a Careers Adviser myself I can’t just go round schools saying we need more people to go into tech, I’ve acknowledged that a more fundamental shift has to happen. Firstly, Careers Advisers and Teachers need to understand the language of tech careers. In fact it often seems like a foreign language; verticals, user experience, big data? What does all this stuff mean, and how can we explain this to a young person who is unaware that there is a very high chance that they may be working in this sector. Secondly, can everyone stop assuming that young people are good at tech and know what it is. Most young people are completely ignorant about what careers exist in tech. As a Careers Adviser, I have built up my knowledge in this area and I can see that there is a need for Careers Advisers to interpret this knowledge and make it understandable. Putting stuff on websites, sending in employers for one-off visits, is all part of the jigsaw that goes on in schools, but it may only be a partial help to a young person who only thinks they are going to be doing a degree in English and doesn’t yet realise that they may be working in Adtech for example. Finally there are a whole range of other issues, including the tendency of schools to interpret success as getting everyone to apply to university, when they could be considering some excellent tech apprenticeship routes including degree apprenticeships, and also a lack of knowledge of the high levels of pay in the Tech sector compared with many other career areas. 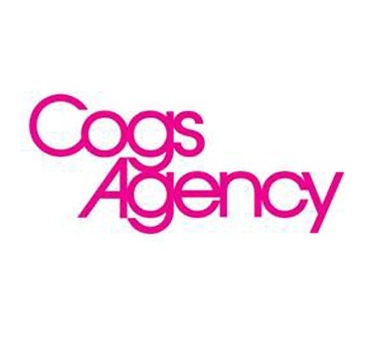 Cogs Agency are sponsoring the Careers in Tech event at Central London Careers Hub on 26 November 2015, which aims to make the tech world more understandable to Careers Advisers and Teachers and help them to interpret this tech world. What jobs exist? What sectors exist? What technologies exist? How do they all relate to each other? How do I get into it? What could I be paid? These are the issues we want to consider. Central London Careers Hub is a social enterprise for Careers Advisers and Teachers, helping them to improve their knowledge levels about careers through half-day career sector lectures including Computer Games sponsored by Next Gen Skills Academy and VFX in partnership with Creative Skillset.